Abbot Joseph Boyle of St. Benedict’s Monastery in Snowmass died early Sunday morning, October 21, at the age of 77. 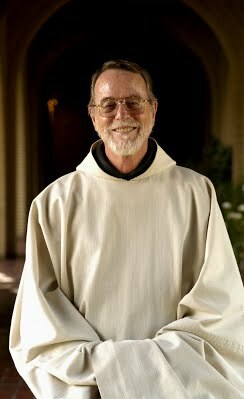 Father Boyle began his monastic vocation at St. Benedict’s Monastery in 1959. Entering the monastery as a postulant, he lived with Fr. Thomas Keating, who was the first superior at the monastery. His oldest brother, Charles was also a member of the monastic community at the time. Fr. Joseph was ordained a priest in 1970 and was elected the second abbot of the monastery in 1985, a position he held until his death. Fr. Joseph loved the monastery and especially enjoyed hiking in the mountains of Colorado. He was a gentle and loving Father Abbot to the monastic community and a loving and generous pastoral servant to the many retreatants and friends of the monastery. He made major enhancements to the monastery, adding a retreat house in 1995, an infirmary wing and community meeting area in 2000, and the latest environmental project of a solar energy field that will provide clean electricity for many years to come. Fr. 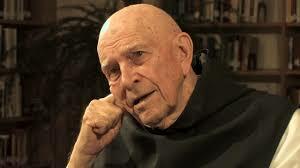 Joseph was a respected and gifted leader in the Cistercian Trappist Order and will be dearly missed. The Rev. Thomas Keating, a Trappist monk and a pioneer in the worldwide Christian contemplative prayer movement, died on Thursday, October 25, at St. Joseph’s Abbey in Spencer, Mass., where he had once been abbot. He was 95. Father Keating was born into a wealthy family in Manhattan, but in 1944, at the age of 20, he entered the Trappist monastery of Our Lady of the Valley in Rhode Island, and was ordained a priest in 1949. In 1950, the monastery burned down and the monks moved to St. Joseph’s Abbey in Spencer, Massachusetts. In 1958, he and other monks went to help start a new monastic community, St. Benedict’s, in Snowmass, Colorado, not far from Aspen. In 1961 he was elected abbot at St. Joseph’s and returned to Massachusetts, where he served in as abbot for the next two decades. He focused more on Centering Prayer, holding workshops and retreats to promote this prayer form to clergy and lay people, and helped found, in 1984, Contemplative Outreach, a network of people who practice Centering Prayer, and was its president from 1985 to 1999. Father Keating wrote more than 30 books and created various multimedia projects.